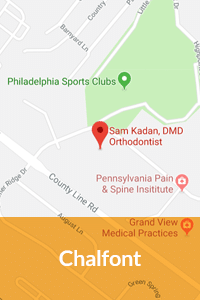 The field of orthodontics has evolved over the years to give patients more options and address some of the most common concerns that keep families and adults from pursuing their much-needed orthodontic care. One of the biggest barriers to braces is the appearance of traditional metal braces. Ceramic braces are considered more attractive by many parents, teenagers, and adults. The components are made of a clear composite material that is available in white or clear, so the braces are less noticeable. Dr. Kadan colors the stain-resistant composite material to match your natural tooth color. 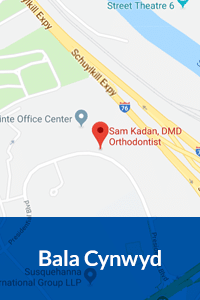 Dr. Kadan has selected Clarity™ SL braces for his patients who want ceramic braces. 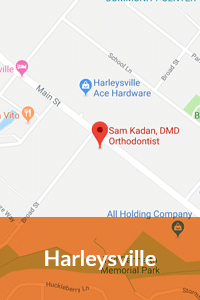 These braces are preferred by Dr. Kadan because they are comfortable and are practically invisible. You may need a combination of traditional metal and ceramic for your treatment plan, but the metal components are placed inconspicuously. One of the most common reasons for using a combination of materials is to provide the durability that is needed for patients who play sports. Ceramic braces offer the same benefits as traditional braces, but you may want to consider ceramic braces if you believe that metal braces will make you feel self-conscious. 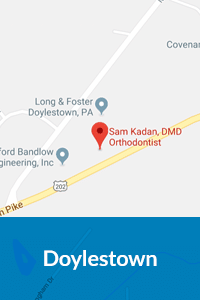 Your ceramic braces will not develop stains if you follow some easy steps, such as brushing and flossing, refraining from smoking, avoiding foods and drinks that may stain the braces and attend follow-up visits with Dr. Kadan regularly. Ceramic braces are very durable thanks to the special alloy that is used for the materials. Are Clarity™ SL Braces Right For Me? If you want orthodontic treatment but do not like how metal braces look, ceramic braces may be the right option for you. The braces are very difficult to see without close inspection, and you will get the same results as you would with metal braces.